Camp Woodward: A gift that doesn't involve Fortnite or Minecraft. Alright, moms and dads, if your kid is athletic, adventurous, and a bit of a daredevil, we have a suggestion as to what to get them for Christmas this year: Camp Woodward. 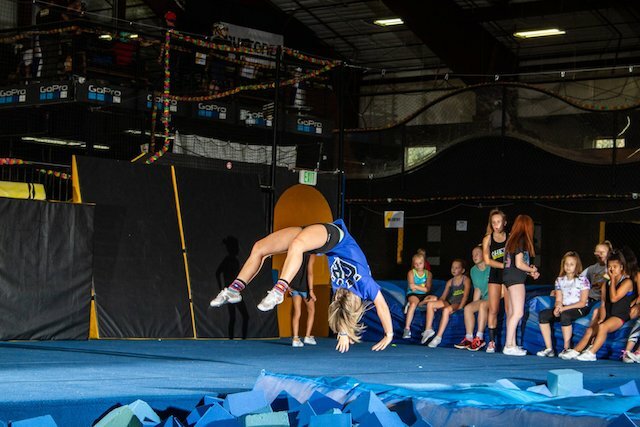 A place like Camp Woodward is great for all skill levels of skiing, snowboarding, skateboarding, gymnastics, cheerleading, and other action sports. Here, they'll not only establish a solid knowledge of their sport from skilled professionals but also build lasting friendships with other young athletes like them. What makes summer camp a great experience, in general, is the fact that kids are taken out of their familiar element and are able to explore and grow in a hobby they enjoy. As an added bonus, your kids get to spend time in the fresh mountain air far away from screens and electronics. Camp Woodward has four different locations to choose from for summer camp: Woodward Tahoe, Woodward Pennsylvania, Woodward Copper, and Woodward West for kids to explore their passions from east coast to west coast. For you parents who just want your kids to get off the couch during the dog days of summer, you'll be squared away with their summer plans before winter is even over! Whichever program your kid is geared towards, know that they'll be in great hands and they'll come home with a flurry of stories and new athletic skills that can be improved upon year after year.